CBusStudentHack Coding for the Community: The Discover District – Get Connected Contest! 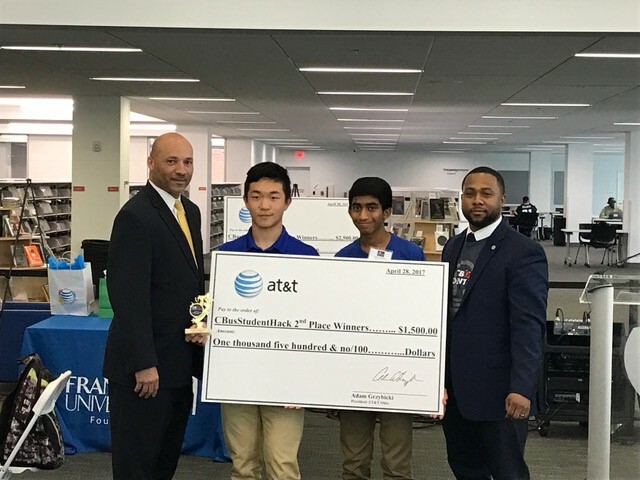 On March 3rd, 2017 AT&T and Franklin University kicked off the second annual CBusStudentHack coding challenge. 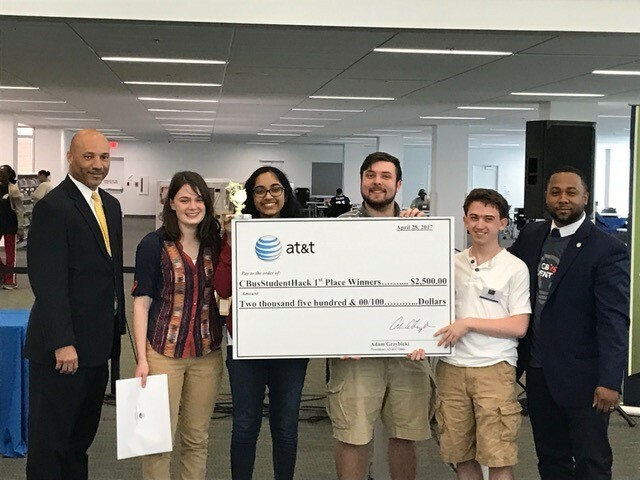 The 7-week programming contest for Central Ohio high school students which aims to provide 21st century skills via computer science education, prepare the students for college and career readiness, solve real world problems and open the doors of opportunity and creativity. To accomplish this, students learned to code and develop their own apps. Over 150 students participated from Central Ohio high schools. Students met at the Columbus Metro Library on March 3, 2017 to kick-off the CBusStudentHack and had the opportunity to brainstorm project ideas and hear from community leaders. Through the remainder of the 7-week period, the students learned how to create their apps. 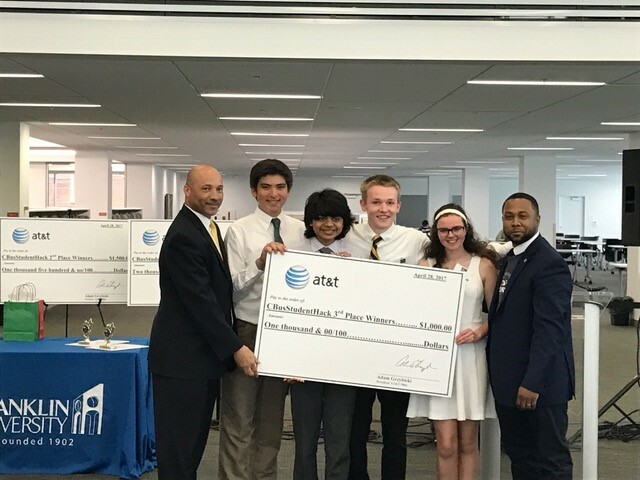 The apps focused on “The Discovery District – Get Connected” theme and were judged on software quality, impact on the Central Ohio region, execution and creativity. 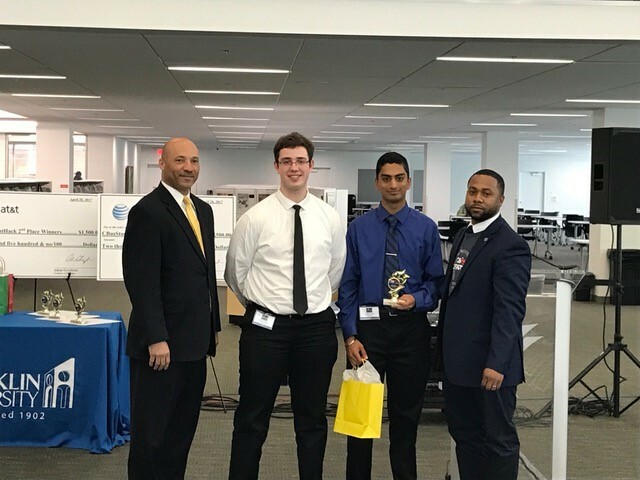 A team of Central Ohio area leaders judged the students’ work, and winners were announced at a finale event on April 21, 2017. First Place: Team Whooping Cranes from Thomas Worthington High School. They developed “Discovery On The Go,” a photo scavenger hunt app. Third Place: Team Kale from Upper Arlington High School. They developed “CBus Live!” an app to connect visitors with the Discovery District through user-submitted events. Best Project Idea: Team Dvorak from Dublin Scioto High School. They developed “The Discovery District Discoverer,” an app to allow visitors to more easily get involved in the community. Best Presentation: Team Rocket from Upper Arlington High School. They developed “Columbus Eats,” an app to allow visitors to share and like photos of food from Discovery District restaurants, incorporating promotions from the restaurants. 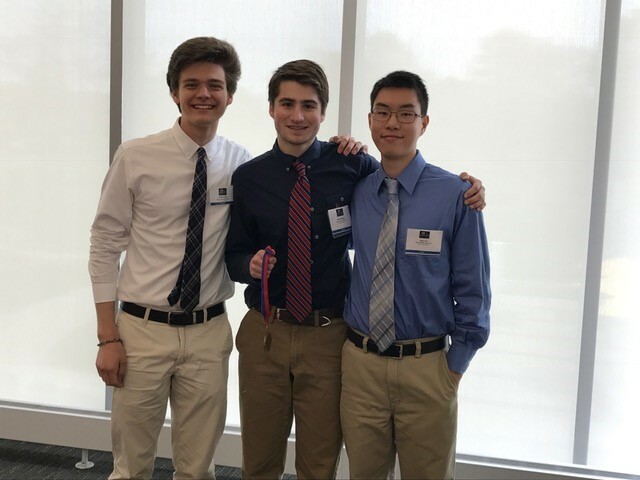 Hacker’s Choice Award: Team Rocket from Upper Arlington High School also received the Hackers’ Choice Award from their peers in the competition. The CBusStudentHack provides Columbus area high school students with 21st century skills via computer science education. Students develop creative solutions for real world problems. Their work helps prepare them for college and careers. Students used MIT App Inventor and Meteor to code and develop their own apps. The students were required to focus their apps on helping local residents get connected with the Columbus Downtown Discovery District. Students met at the Columbus Metropolitan Library (CML) Main Library on April 28, 2017 to present their project ideas and hear from a panel of community judges. The students’ work was judged on software quality, the potential impact on the central Ohio region, execution and creativity. Participating central Ohio high schools included: Central Crossing High School, Dublin Jerome High School, Dublin Scioto High School, Eastland Career Center, Franklin Heights High School, Gahanna Lincoln High School, Grove City High School, MC2 STEM High School, Metro Institute of Technology, Reynoldsburg eSTEM Early College Academy, Reynoldsburg Health Sciences & Human Services STEM Academy, SWCS Accelerated Learning Center, Thomas Worthington High School, Upper Arlington High School, Westland High School, Whetstone High School, and Worthington Kilbourne High School. In recognition of the students’ accomplishments, Franklin University introduced its $30,000 CBusStudentHack Scholarship, which is available to all 2017 CBusStudentHack participant who meet eligibility requirements.